Susan Hester arrived in Washington in 1980. Susan Hester’s long career of vital activism on behalf of the LGBT community in DC and nationally grew from the example set by her mother, Henrietta Hester Harris, who, in 1949, the year of Susan’s birth in North Carolina, established the private pre-school that became Hester’s Creative Schools. Susan grew up participating in the family business of education, learning lessons that grounded her ideals in the real world of profit and loss, public policy, and the needs of women, children, and families. Susan graduated from Furman University, in Greenville, South Carolina, in 1971, and went on to earn a Master of Public Administration from the University of Iowa in 1978. She arrived in the District of Columbia in 1980 to take up the post of the first chapter development coordinator for the National Organization for Women (NOW), after field work in Chicago on the campaign for the Equal Rights Amendment. In 1982, she joined the staff of the National Abortion Rights Action League (NARAL), serving as development director. In 1987, Susan left NARAL to work independently as a fundraising consultant and to deal with the devastating implications of the battle with cancer her partner, Mary-Helen Mautner, was fighting. Just a few weeks before her death in August 1989, Mary-Helen asked Susan to create an organization that would help other lesbians facing life-threatening illness. 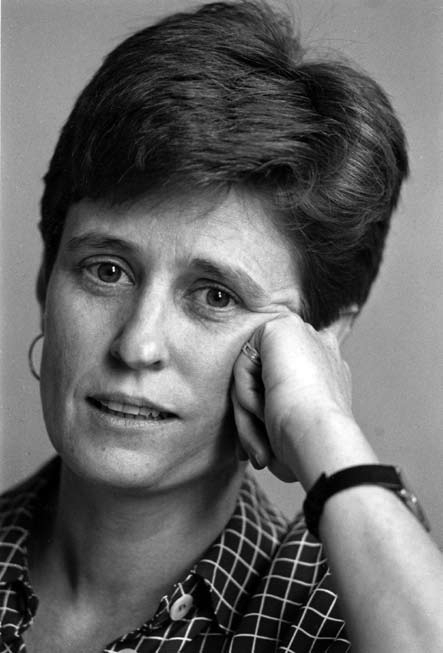 Susan founded the Mary-Helen Mautner Project for Lesbians with Cancer in 1990, served as executive director for six years and remains an ex officio member of the Project’s board of directors. The Mautner Project has earned deep support within the DC community and has attained national significance, providing direct services to promote the health of women who partner with women, as well as educational programs, advocacy, research and training. Project milestones include the founding of the National Lesbian-Feminist Health Coalition, the National Breast Cancer Coalition, and Healing Works: The National Conference on Lesbians & Cancer; training nearly 7,000 physicians and health care providers on lesbian health issues; and developing the Mautner Project Client Services, a national information/referral program helping LGBTQ-identified people, their families and caregivers navigate the US healthcare system when faced with serious illness. In 1999, Susan and her siblings became more actively involved in managing Hester’s Creative Schools, when their mother decided to retire. In 2012, Susan became the enterprise’s managing director. She has also served as executive director of the Wendt Center for Loss and Healing and as a member of the executive board of SAGE (Services and Advocacy for Gay, Lesbian, Bisexual & Transgender Elders). The National Women’s Health Network presented Susan with the Barbara Seaman Award for Activism in Women’s Health in 2011, the most recent accolade for her tireless leadership. Susan is adamant, however, that she is not a “solo flyer,” always acknowledging her deep appreciation for all the people she has worked with and learned from, and the “bravery, courage, leadership” she has encountered throughout the community, and the love and support of her partner, Sandy Douglas, and her daughter, Jessie Hester-Mautner Braverman.